It was an odd thing, to stare my book in the face and realize that the only way I can even attempt to balance out the overwhelming emotional darkness in this plot was to tell this story with pretty prose, but once I realized that was the answer to the riddle I’d given myself, I decided to throw myself into it with gusto. I’ve always been enchanted by lyrical writing. I love the idea of using words the way a painter would use watercolors, to not just tell the story but to bring the world to life in a way that makes its mark on readers. Painting a picture with words is a skill that takes time to hone. It took a lot of work, a lot of studying to see how other authors have managed to do the same in their own books. Mark Lawrence was really the first author I ran across, years ago, who paired up an almost oppressively dark series of books with some astounding lyrical writing. It was one of the things that I first loved about his work. His ability to tell a tragic story beautifully was the perfect medicine for his books. While the novels never quite stop being dark and heavy, the prose made the reading of such a dark book so much easier, and so much more fun. I wanted to do something like that for Seraphina’s Lament. So, I set about studying how others have done it. I immersed myself in writing, in books full of prose that I could learn from. From Margaret Atwood, I learned how to powerfully use a single word to make a point. She does it with the word “shatter” in A Handmaid’s Tale. From Catherynne M. Valente, I learned how to creatively tell a story in a beautiful, but direct way. From Mark Lawrence, I learned how to use lyrical prose to balance out a dark story. From Madeline Miller, I learned how to really make emotions knife sharp and just as cutting, and how poetic flowing sentences could fit into a book and make it so much more powerful. Lyrical and poetic writing is something that takes some skill. I worked very hard at it, going over passages again and again until I felt like I’d hit the right note for what I was trying to portray in any one scene. It’s also a risk. Some readers can’t stand that kind of writing, they’d rather an author be direct rather than poetic. Going into this, I knew that I would be isolating some potential readers with my decision to write a book this way. It was a risk I decided to take. 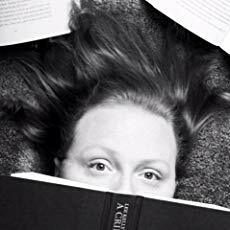 I can’t please every reader, and that’s okay. Hopefully those that don’t mind lyrical writing and dark books won’t mind my attempt at doing just that. The juxtaposition of beauty and pain has always intrigued me, and Seraphina’s Lament was really a way for me to play with that concept as much as I could. It was a way for me to take this terribly dark, oppressive story I wanted to tell, and try to tell it the prettiest way I possibly could. Did I succeed? I don’t know. You’ll have to decide, but it was a challenge for me. I had to work very hard at it. I learned a lot from other authors, and a myriad of poets. I had to figure out how to look at a thing that is brutal, and describe how beautiful it is despite all the brutality it represents. 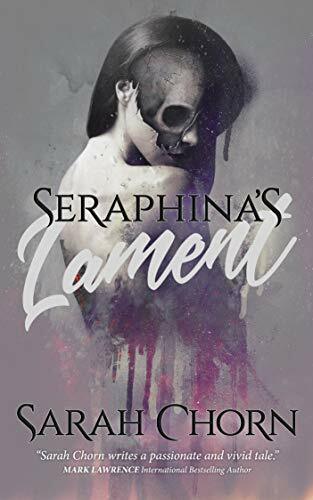 Seraphina’s Lament was truly a challenge for me to write, in a lot of ways. It’s my own dark beauty, a “razor blade garden” as Clay Sanger said in his early review. Sarah Chorn has been a compulsive reader her whole life. At a young age, she found her reading niche in the fantastic genre of Speculative Fiction. She blames her active imagination for the hobbies that threaten to consume her life. She is a writer and editor, a semi-pro nature photographer, world traveler, three-time cancer survivor, and mom. In her ideal world, she'd do nothing but drink lots of tea and read from a never-ending pile of speculative fiction books.